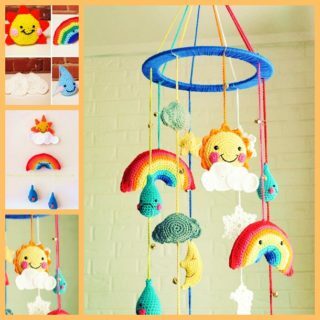 A great way of bringing unique character to your baby’s nursery is to add a baby mobile, which will keep the little ones happy for hours at a time. 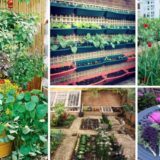 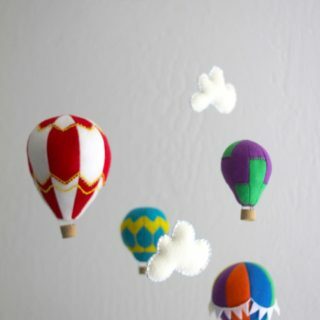 Instead of going out and buying one, why not take the time to make one yourself? 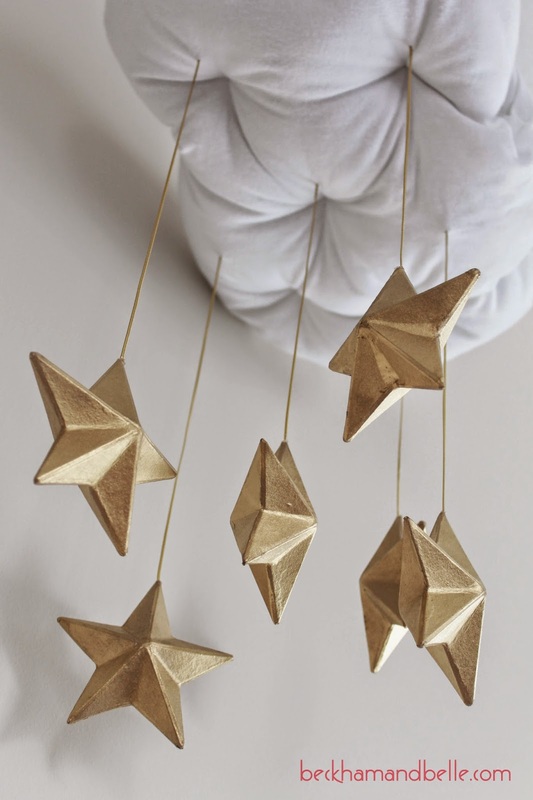 This way you can craft exactly what you want and something that is truly special! 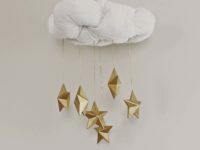 What’s even better is the fact that they don’t take long to make and will provide the perfect addition to your baby’s nursery. 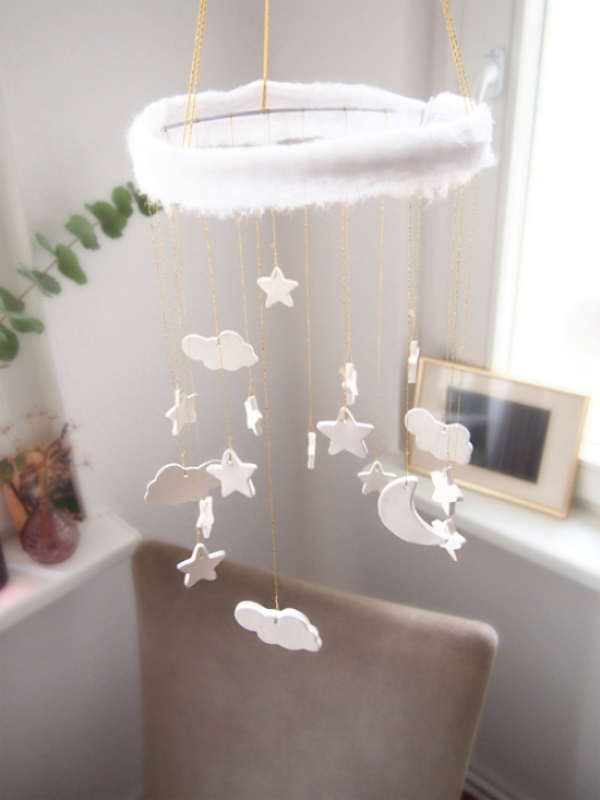 Check out our selection of baby mobiles to get your creative juices flowing. 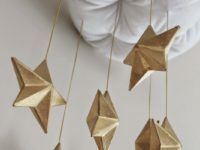 This baby mobile is so easy to make and because it has a simple design it can fit in any almost room. 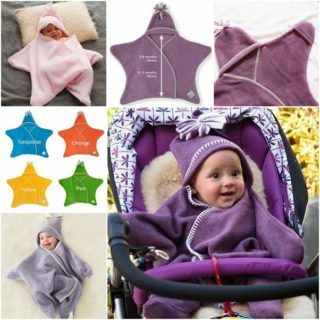 You could, however, easily add some colour, if you wanted a more colourdul display on your baby mobile. 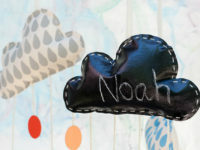 To make your own, check out Kidsomania for more information. 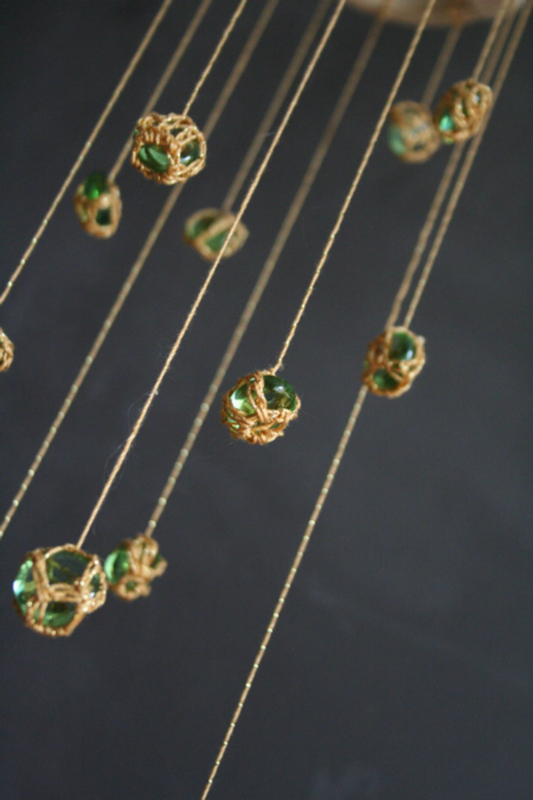 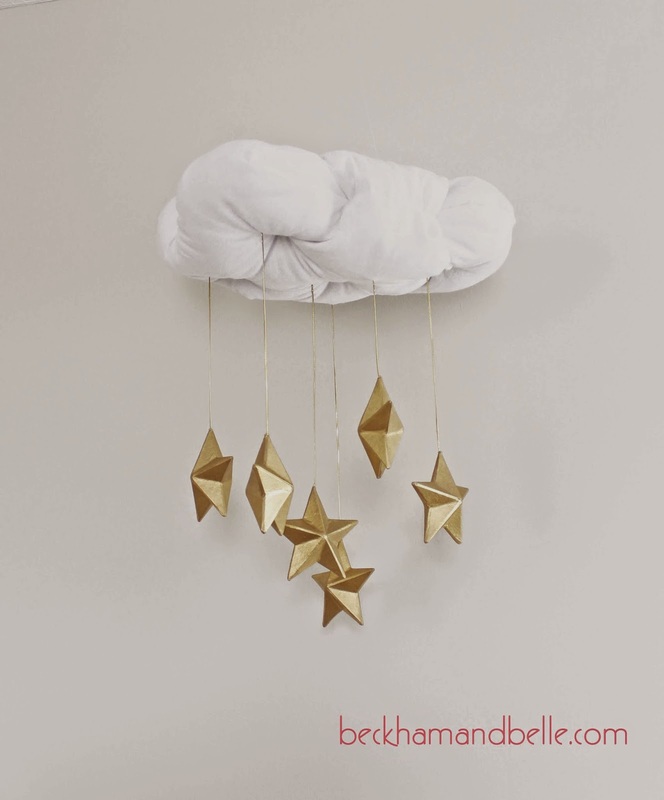 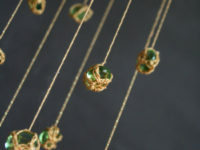 Add a bit of sparkle to your baby nursery with this easy to make gold star mobile from Beckham and Belle. 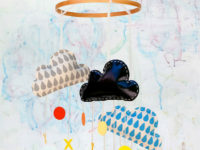 The fluffy white cloud is a great addition to the mobile too and will definitely be a glittering delight when it’s finished. 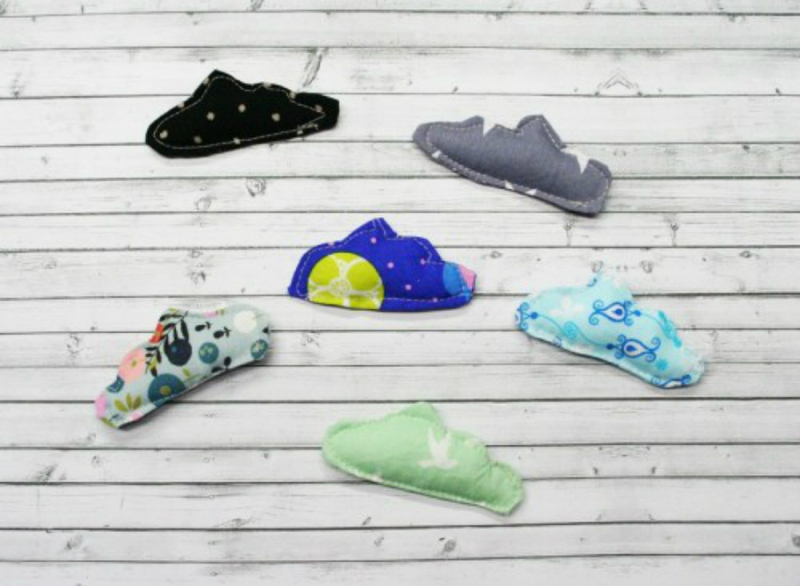 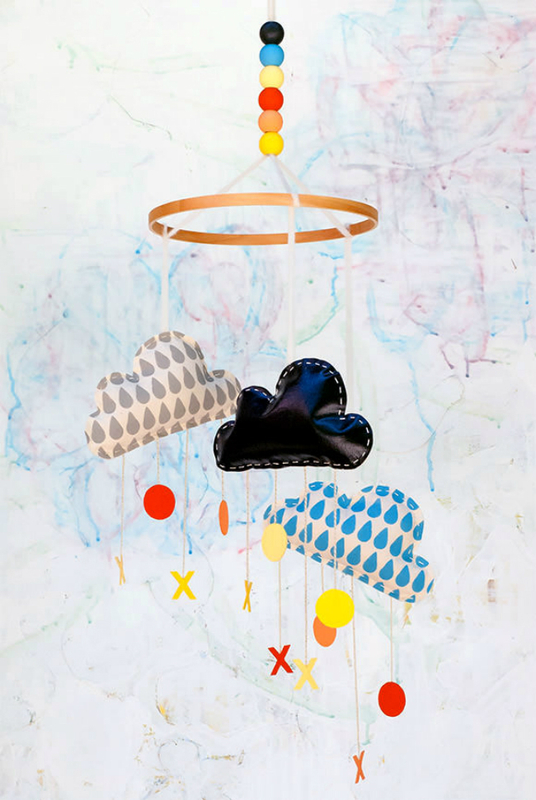 For some added colour to your baby nursery, check out these delightful looking clouds from Selbermachwerkstatt. 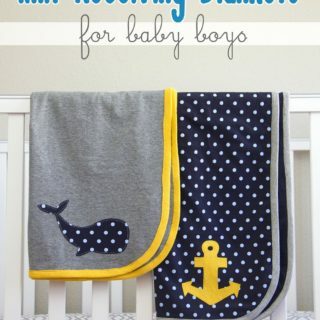 They will add a burst of colour to your nursery if everything else is in a neutral colour. 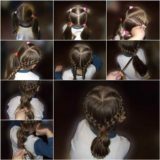 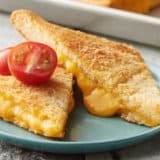 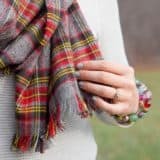 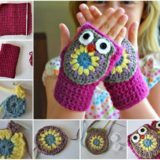 They are also easy to make and you don’t need to be a skilled sewer to make them. 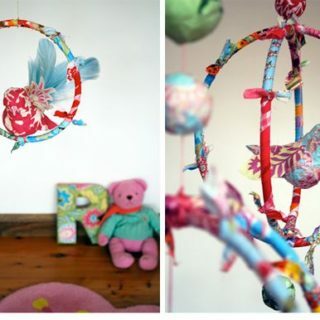 This design from My Poppet is so easy to make and can be finished quite quickly too. 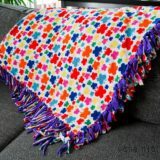 To make your own, check out the website for more information and get started on making your own today. 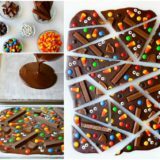 This is such an amazing creation that it had to be on the list. 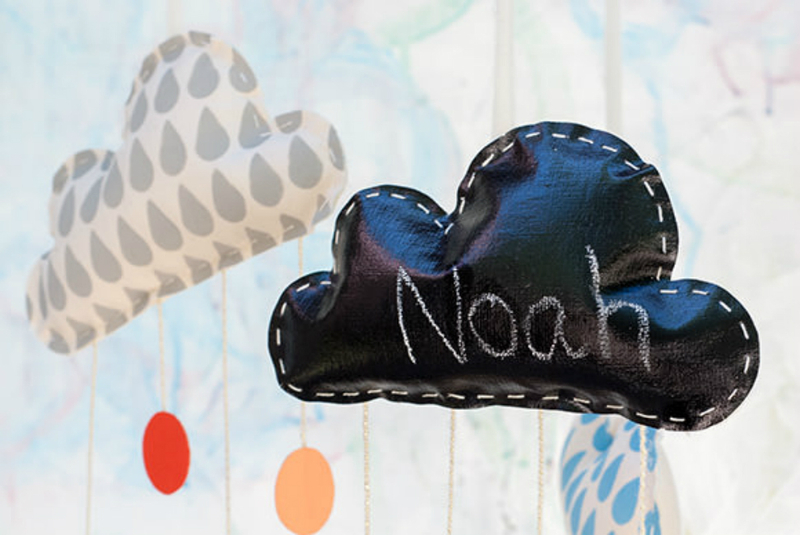 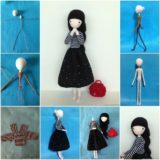 This handmade mobile from Handmade Charlotte makes use of a chalkboard fabric that allows you to write your baby’s name or a message to them each morning. 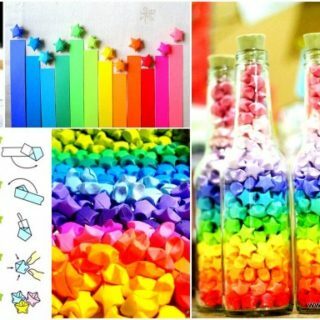 What will yours say? 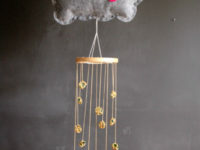 This is a simple mobile to make for your baby’s nursery and is sure to bring a smile to your face each morning you see it. 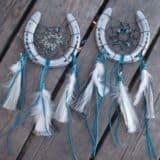 To make your own, check out Things for Boys for more information. 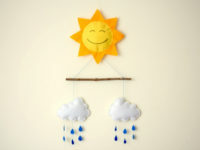 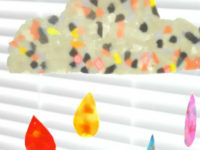 ‘Raindrops are falling in the air…’ Sing this song to your baby as they take delight in this creation from Hello Lucky. 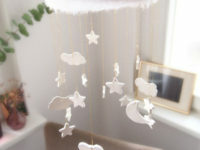 This will need to be attached to the ceiling as the raindrops themselves make up a long chain above the cot. 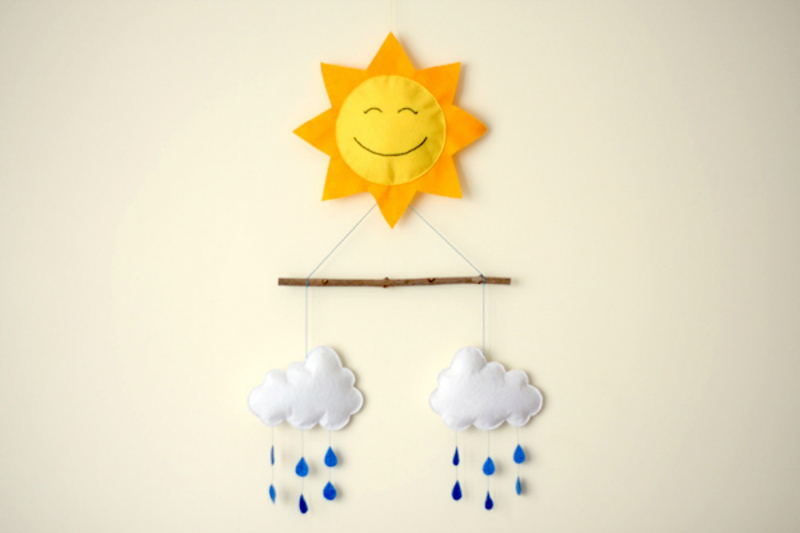 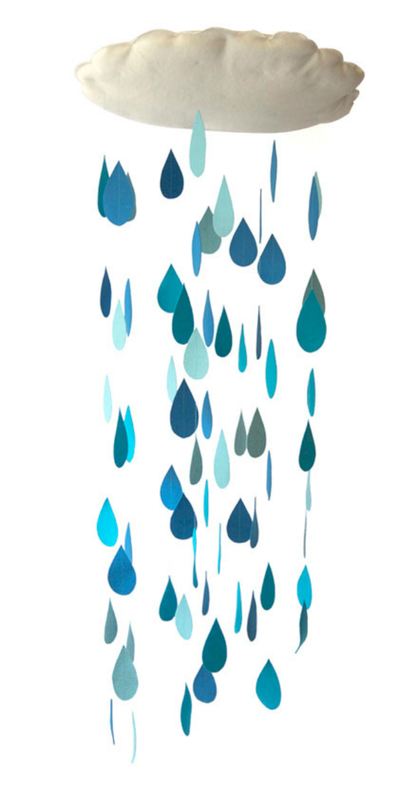 Even though it is quite long, it will make a striking addition to your baby’s nursery where they can watch the raindrops above their head. 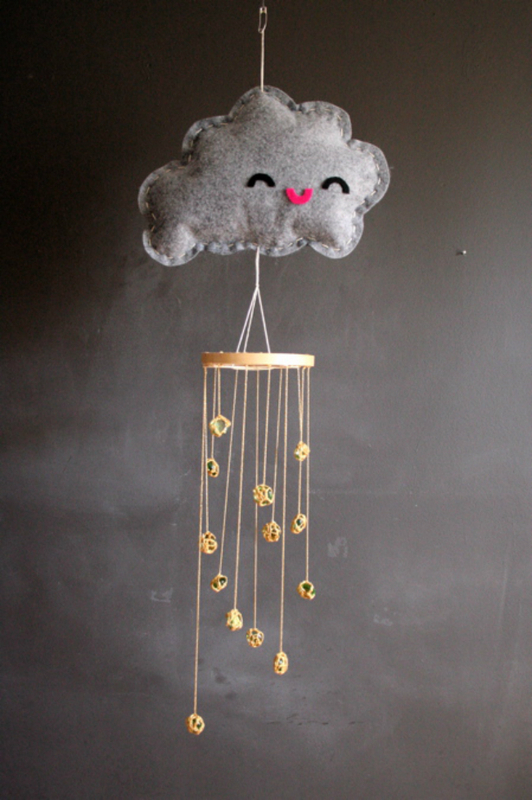 This delightful looking raincloud mobile from Miss Make is a lovely baby mobile that will make a striking appearance to your baby’s nursery. 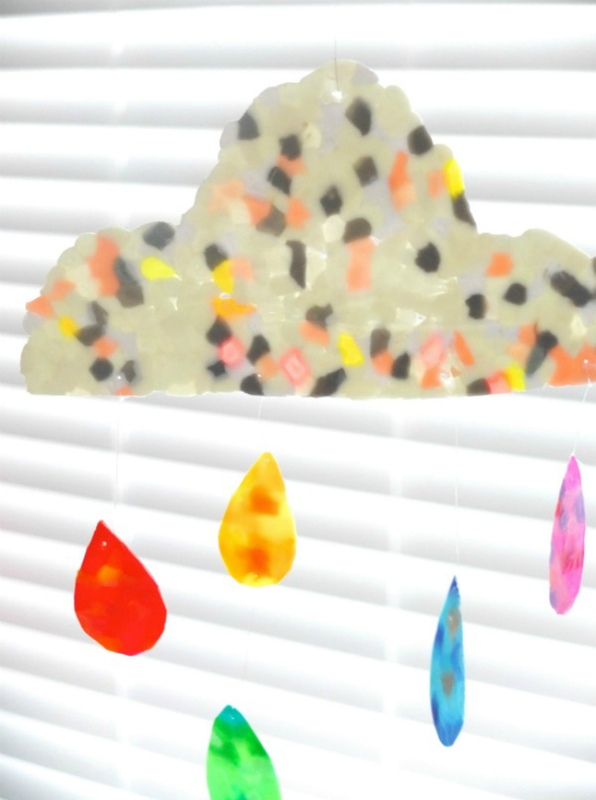 The happy raincloud is showering down small green glass gems, which have been securely fastened to string that is attached to the happy raincloud. 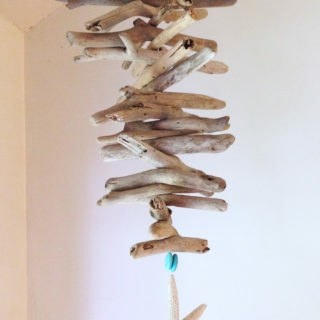 To make your own, check out the website for more information.